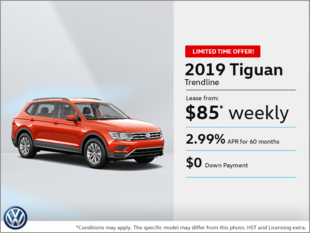 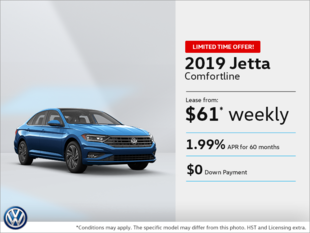 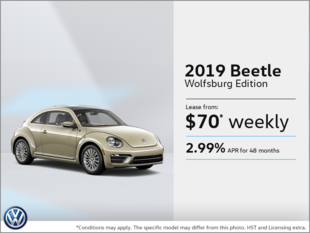 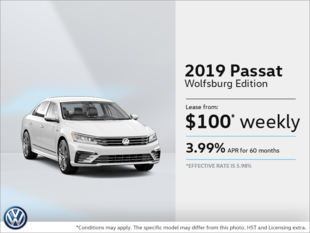 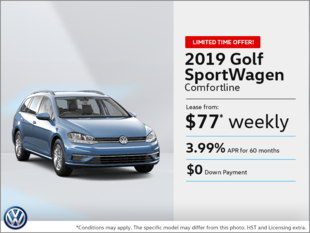 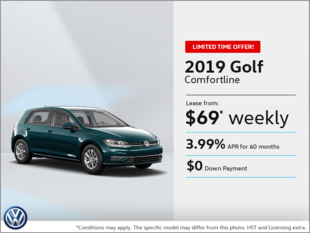 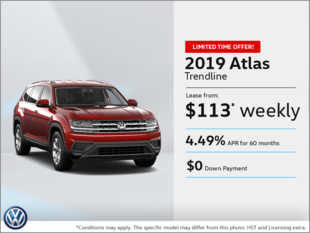 If you want to get the best value for your Volkswagen service or for your next new or pre-owned Volkswagen vehicle, you have come to the right place. 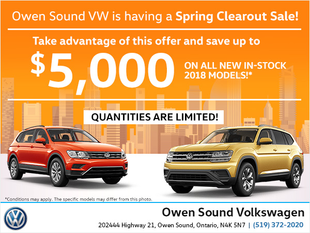 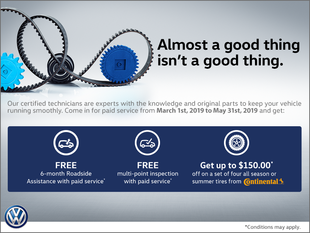 At Owen Sound Volkswagen, we are continually updating our special offers on every Volkswagen product, vehicle, or service. 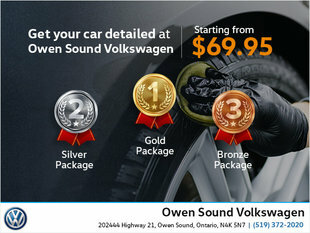 When it comes to making a quality purchase that you know will last, our dealership in Owen Sound is the place to go. 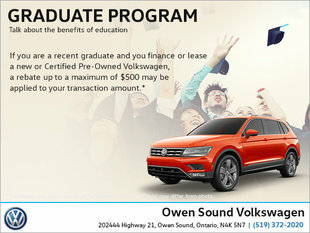 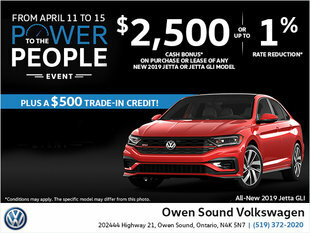 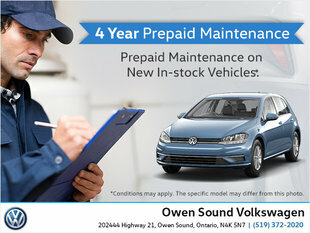 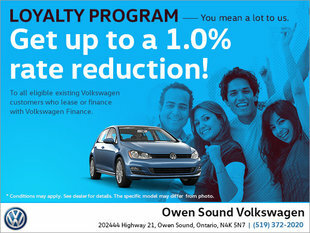 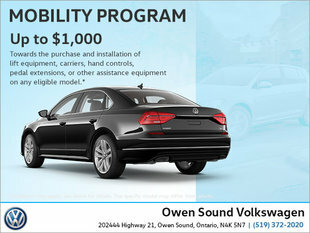 Owen Sound Volkswagen offers low-interest and flexible financing on new and Volkswagen Certified Pre-Owned vehicles. 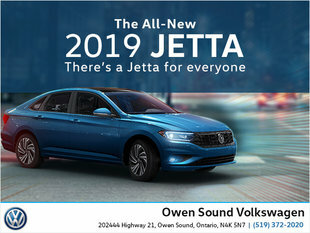 We know that we need to exceed your expectations to stand out, and that starts with providing our clients with the best value. 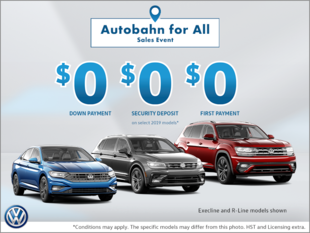 Our special offers are featured at our service and maintenance department as well as our Volkswagen Original Parts and Accessories departments. 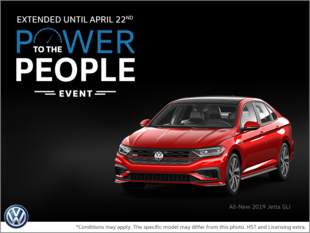 Visit us today or regularly check out this page to discover the latest special offers on all our Volkswagen products and services.